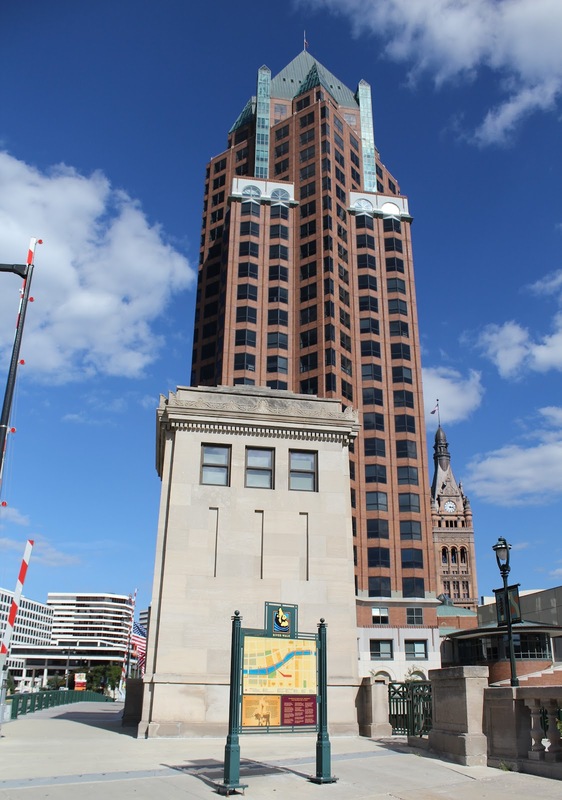 The marker is located along North Riverwalk Way and is accessible from westbound West Kilbourn Avenue, at its intersection with North Plankinton Avenue, at or near 840 North Plankinton Avenue, Milwaukee, Wisconsin 53203. NOTE: Except for a small parking lot for a restaurant, there is no parking at the marker location. 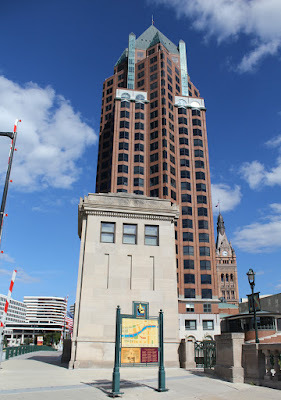 With the Milwaukee Center Office Tower in the background. The marker is located along Milwaukee's RiverWalk.